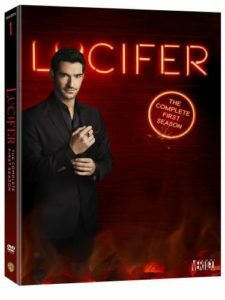 Based on the character from DC Entertainment’s Vertigo comic, Lucifer is bored and unhappy as the Lord of Hell, and has resigned his throne and retired to the City of Angels where he is indulging in a few of his favourite things — wine, women and song. When a beautiful pop star is brutally murdered before his eyes, he feels something awaken deep within him – for the first time in roughly 10 billion years. Is he actually capable of feelings for a human being? The very thought disturbs him — as well as his best friend and confidante, Mazikeen (aka Maze), a fierce demon in the form of a beautiful young woman. The murder attracts the attention of LAPD homicide detective Chloe Decker, who finds herself both repulsed and fascinated by Lucifer. As they work together to solve the murder, Lucifer is struck by Chloe’s inherent goodness. Used to dealing with the absolute worst of humanity, he begins to wonder if there’s hope yet. Maybe everyone’s got a chance for redemption. Even the Devil. The competition ends at 23:59 on 28 October 2016. 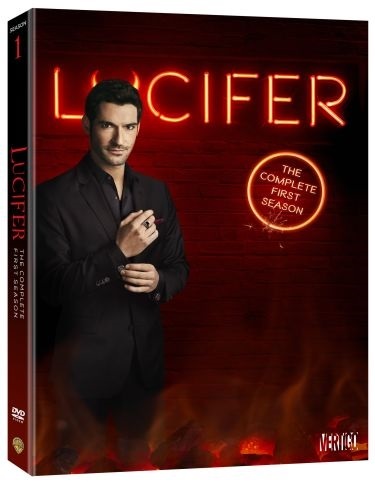 The prize consists of a Lucifer: The Complete First Season DVD.